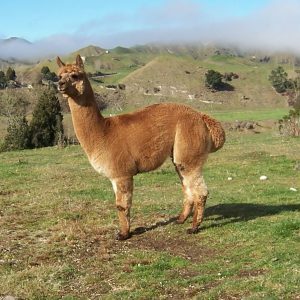 At Nevalea Alpacas we have a range of stud services available. All our stud males are certified and DNA tested and are available for mobile matings and/or farm matings by appointment. 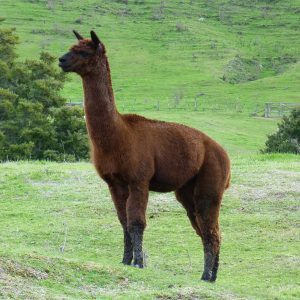 At Nevalea Alpacas we offer competitive service fees, with discounts for multiple matings. We are very careful about selecting males to be used for breeding and only those exhibiting outstanding qualities and pedigree are chosen. We only offer males that we would use in our own breeding program. These males all possess the necessary traits needed to develop a quality breeding program. Soho is a solid well conformed male with a good nature. He has a lovely soft handling fleece. He is leaving some show winning progency, at this stage he is only doing in-house matings. Sawyer is a solid well conformed male with a good nature. He grows a very fine soft dense fleece. We are looking forward to seeing his first offspring in February 2018, at this stage he is only doing in-house mating’s. Errol is a solid well conformed male with a bold frame. 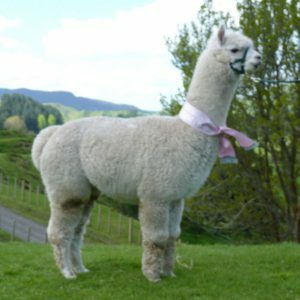 He grows a very fine soft dense fleece. 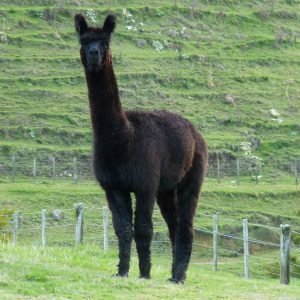 Nevalea Drift has a dense jacket of soft fibre, is a proven male with cria on the ground, having produced blacks and warm browns. 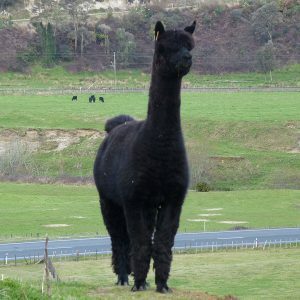 Ernie is well proportioned solid black alpaca, showing an excellent fleece style that is really appreciated by fibre enthusiasts. 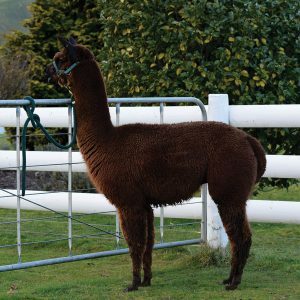 His fleece is highly organised with excellent staple length, very bright and fine, and having the beautiful soft handle that is so desired. 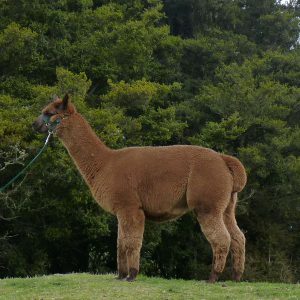 Ernie received 1st place at the NZ Royal Waikato A & P Show 2011, in the Huacaya Junior Males – 6 & under 12 months Black section. 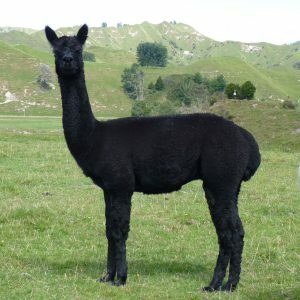 Ferragamo’s dam and sire are two of the best black alpacas around. Both Canchones Gendarme and Canchones Kenzoki have won multiple classes and black championships in Australia. Ferragamo is a full Peruvian blue-black male with excellent confirmation. His sire is Canchones’ top male, Canchones Gendarme, who tested as one of the highest black males for follicular density by Dr. Jim Watts. Captain is a solid white male, who clips a dense uniform jacket. Captain’s progeny look to carry the same density. 2nd at the Rotorua A&P Show 2010 in the Junior male Huacaya white & light fawn section only edged out of first position by our other stud male Orion. 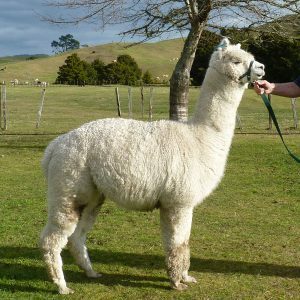 Orion carries a stylish soft handling fleece which he is pasting on to his progeny. 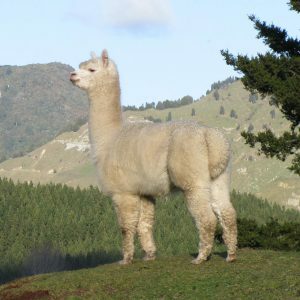 His fleece is very fine, lustrous and has small staples of high frequency crimped fleece across his body, under his belly and down his legs. Orion’s first fleece MIC 16.2 CF 100%. 1st placed at the 2010 Morrinsville show in the Huacaya Fleece 6-12 months section. 3rd in 2012 Hawkes Bay Show and 4th place at 2012 Waikato A&P Show, senior male sections. Calypso is a young male who has just started work. He has a beautiful soft handling white fleece. Ptolomy is a solid black (Blue black) male. He carries himself well with a solid confirmation and a soft handling fleece. Charlie is a showman, presents himself well and likes to be known. He is bold and quite an attraction on farm. 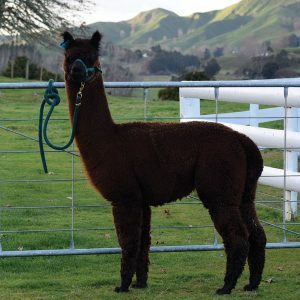 Elijah’s fleece has density and crimp which is reflected in his progeny. Elijah throws black and dark brown progeny. One of his young females, Francie has been consistently winning 1st place at all the shows she has entered. Elijah has a soft handle and his fibre has been used in garments in our farm shop. McBrodie is a solid well conformed male with a good nature. His fibre is very dense and crimpy and McBrodie is passing his fine dense fleece onto his cria. 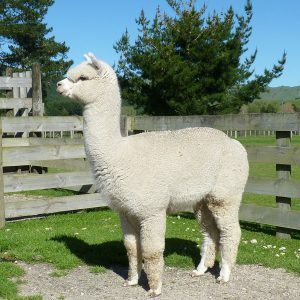 His offspring colours range from medium brown, fawn and white, depending on the colour of the Dam. Shylow has a lovely nature, correct conformation and a dense, crimpy, soft fleece. 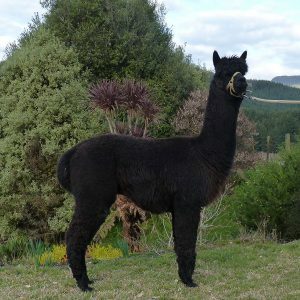 Equalizer is a stunning young solid dark brown male who has all the attributes coming through from his blood lines including dam Omaka Heights Roberta and her sire Hadstock N.Z. Robert. Equalizer has a lovely fine and stylish fleece. 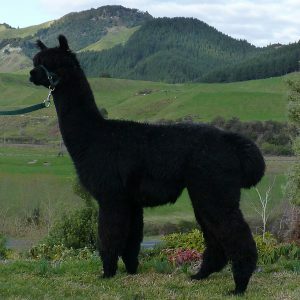 Sunsetestate Serengeti’s sire, Canchones Baladin, is a son of the well known stud male Somerset Peruvian Black Reign. 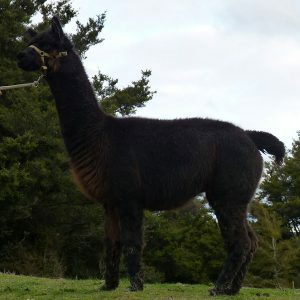 Serengeti’s dam, Canchones Sabi, is a very fine fleeced black alpaca. At 9 years of age she still has a 22.4 micron fleece with 89% CF. This is where her fleece stats have been for the last 6 years. Serengeti has a beautiful nature, which he inherited from his sire as well as his dam. 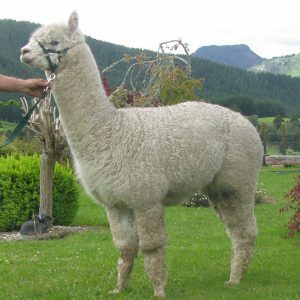 He has a dense fleece with good structure and a curvature of 53.5. Just like all our stud males, he has very sound conformation with good bone.